Manna Bible Maps - Free Sample includes three full-color maps of Bible lands. These maps include a corresponding glossary of geographic terms for each map. 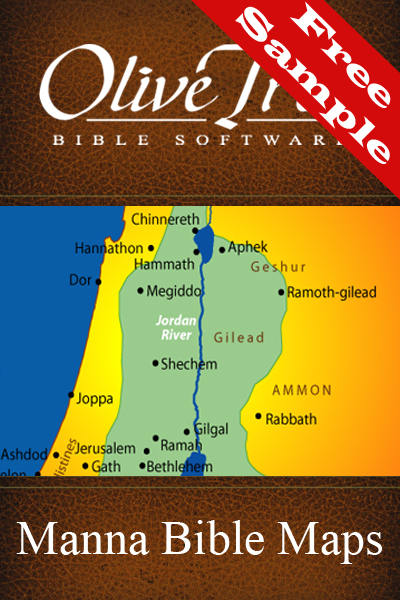 Manna Bible Maps Study Set contains 21 maps and is also available for the Olive Tree Bible App.